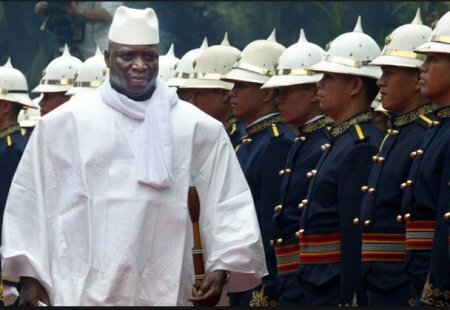 Gambia's President Yahya Jammeh will be forcefully removed by a Senegal led military intervention if he refuses to leave office after his tenure expires on January 19,2016. BBC reports that "Stand-by forces" are on alert and would be deployed "to restore the people's wish" if mediators, led by Nigeria's President Muhammadu Buhari, failed to persuade Mr Jammeh to give up power, said Marcel Alain de Souza, the chairman of the Ecowas commission. Jammeh initially conceded victory to property developer Adama Barrow in the 1 December election, but he later called for the election to be annulled, alleging that it was marred by irregularities.